Offering you a complete choice of products which include Non Woven Matt Mops, Non Woven Flap Wheels and Non Woven Flap Brushes. We are one of the trusted names to offer Non Woven Matt Mops for our valued clients. Provided range of product is made from high grade quality raw material. Offered products are widely used in various industries. Offered range of products are highly appreciated and demanded by our clients. Customers can avail these products at leading price from us in the market. We are a well-renowned firm that has experience in undertaking of Non Woven Flap Wheels. Known for its surface preparation and low speed polishing, our offered flap wheels are manufactured with finest quality non woven material and modern technology in compliance to set industrial norms. 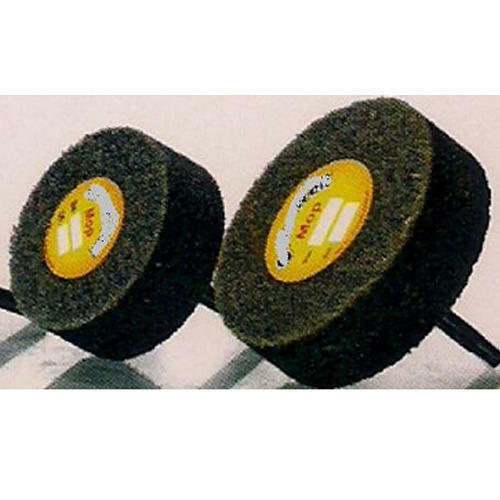 These flap wheels are use for surface preparation and low speed polishing. Backed by rich industry experience and knowledge, we are engaged in providing Non Woven Flap Brushes. Use for light deburring, cleaning prior to painting, the offered mop brushes are made by non woven material impregnated with abrasive grain. These mop brushes are known for their durability. We offer these mop brushes in various sizes and dimensions and given at affordable rates.